Zombies - reanimated human corpses who shamble along seeking victims - come from Haitain folklore. In the original stories, zombies are usually brought back to life by witch-doctors and they perform their master's bidding. The modern idea of a zombie as a flesh-eating corpse came much later, almost entirely from George A. Romero and his iconic series of films: Night of the Living Dead, Dawn of the Dead, Day of the Dead, Land of the Dead, Diary of the Dead and Survival of the Dead. These films introduced what we now think of as a zombie and the idea of a zombie apocalypse where modern society has crumbled and the remaining humans live in secluded shelters while the world belongs to the walking dead. Today zombies show up everywhere from The Simpsons to Harry Potter and at the moment the abc TV series The Walking Dead gives us a flavour of how humans would survive in the deep south of America. In fact, the US Department of Health even commissioned a report on how the CDC might help prevent a zombie apocalypse. Think I'm joking? Check this link: CDC Zombie initiative. There, who's joking now. Not me. I never joke. Except for this one: what's a zombie's favourite cuddly toy? A deady bear. Laugh. Seriously, laugh. I've got a gun. What would happen in an apocalypse? Let's say something really did go wrong with our infrastructure and people all abandoned their posts to go home and be with loved ones/loot the local shops (NB: timjamesScience does not endorse looting of local shops). Well, the first thing to go would be electricity. While there are some hydroelectric power stations and wind-farms, the majority of our electricity is provided either by nuclear or fossil-fuel stations. They both work in the same way: generate an unholy amount of heat (either by bringing radioactive material close together or by burning mountains of fossil-fuel) and use it to boil water. That produces steam which is used to turn a turbine hooked up to a generator, giving us that delicious 50 Hz Alternating Current (NB: the electrical current output of a power station is not actually delicious and will kill you, timjamesScience does not endorse the licking of power lines). Both types of power station have a lot of things that can go wrong so here's the thing: they're actually designed to shut down as quickly as possible if nobody's manning the controls. Power stations generally get an "emergency shutdown alarm" every hour. Something being too hot, too pressured, too fast etc. will trigger these alarms and everything powers off unless the crew are there to keep it alive. In fact, a lot of people at a Power Station are employed to stop it from deactivating because it's designed to as a safety measure. So, if all the power station workers are running home to escape the zombie horde, the power stations will go dark very quickly. Your phone signal will go shortly after. The phone itself is battery operated, but the base-stations where your calls and texts are recieved are run by mains electricity. They usually have backup generators so if you're very lucky yours might remain active for a couple of days after the blackout, but that's being very optimistic. There are no phone networks I know of that have a zombie contingency plan. Not even EE. Wipe that smug grin off your face Bacon. After the power stations go, the next thing you'll probably lose will be water. Although the water flow in your taps and boilers will last a couple of days, most water has to be pumped. Thing is, we tend to live above water level (it would be pretty stupid to do the opposite). So most water has to be mechanically raised from the water table to get it to people's homes...and those pumps are electrically powered. So if the power stations go, so does the water supply. Followed swiftly by your gas supply (for the same reasons, gas will flow but the pumps to control it are electrical). So electricity goes, followed by phone and internet signals, and then finally your water, gas and heating. Unless you live in Scandanavia where most of the power is generated from renewable sources. Those guys have thought of everything. Your best bet for communicating with other people (and negotiating your entry into Sweden, offering Kevin Bacon as payment) is either going to be a HAM radio (battery powered radio transmitter/recievers) which don't rely on base stations) or a satellite phone which communicates with - you guessed it - satellites. We're going to assume here that the zombies haven't made it into space. Although that would make a pretty awesome movie. A HAM radio. Come to think of it, why is Kevin Bacon not endorsing these?? The pig-related puns basically write themselves! From a biological perspective we have to remember that the idea of a zombie is a person who dies then comes back to life as a reanimated corpse. I'm going to discount the "zoombies" or "turbo-zombies" from movies like 28 Days Later or World War Z because in those movies, the people weren't necessarily dying and coming back, they were being infected with some kind of virus. I'm talking about actual, shambling around, walking-dead, human-eating groany type zombies...could they happen? Oh and none of your wussy "zombies with feelings" nonsense. Ironic, considering "dead inside" is pretty much how I felt after sitting though this movie. 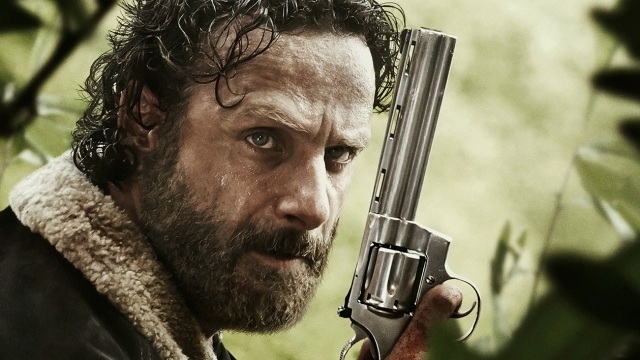 The answer to whether the walking dead could happen is, reassuringly, no. And here's the reason. For something to be moving their muscles have to be working. For muscles to work they need to be carrying out respiration. Respiration is the chemical reaction that takes place in all your cells where oxygen is reacted with glucose. This means the zombies need a fresh supply of oxygen to carry out respiration which means they need a working heart and a working set of lungs. And if you've died, these things don't reanimate because they decompose very, very quickly. When you see zombies in movies they are always decaying as they walk. Which means their lungs and heart won't be working for much longer. Furthermore, if the zombies didn't get hold of glucose (the other necessary chemical) they'd die out in a few weeks anyway. So your best bet for surviving the zombie apocalypse really is to bunker down somewhere and wait for the zombies to starve. If there's nothing for them to eat, they don't respirate, no movement, no walking corpses. Done. I know you hear urban legends and stories about people medically dying and coming back, but they are just that - stories. There are no recorded instances in medical history of a person actually medically dying (as in, the cells in their spinal column cease respiration) and then reanimating. Sometimes doctors can make mistakes and comatose patients are declared dead, but this was the doctor making a mistake. Once you're braindead, that's it. You don't come back from it. You start decaying immediately and there is no known way of reanimating the brain, heart and lungs in order to generate a walking-dead thing. It just doesn't happen. People don't come back from the dead. Although, if you want to read about something really interesting, check out Cotard's delusion; a rare mental condition in which the patient believes they have died and that their body is decaying. Maybe that's where the zombie myth originally came from?? But who would dare suggest there are Scientific explanations for superstitious beliefs? Not me.